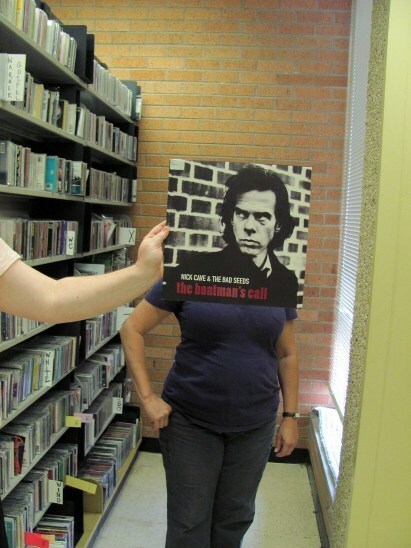 Nick Cave views the CDs in the archives with reluctance and distrust. But don’t worry! With one million sound recordings, there really is something for everyone. In this photo: Nick Cave, Laura Moody and Susannah Cleveland. Photo by Liz Tousey. This entry was posted in Pop and tagged Nick_Cave. Bookmark the permalink.